Aprimore seu inglês em um ambiente acolhedor, especialmente voltado para facilitar sua transição para os estudos acadêmicos nos Estados Unidos. Prepare-se para o IELTS, TOEFL, GMAT ou GRE nos centros BridgePathways. O BridgePathways em Denver, Colorado, é um Centro oficial de Exames IELTS. Bridge partner, Philadelphia University, is located in one of the most historic and visited cities in the United States! However, students don’t even need to leave the PhilaU campus to find plenty to keep them entertained, fit and connected with classmates. Learn about what on-campus activities this university has to offer its students. BridgePathways is known for preparing international students for admission into U.S. universities, especially via conditional admission. However, we also offer admission counseling for direct admission, providing a range of services for students all the way from university selection, to application and acceptance. Is a Small or Large U.S. University Right for Me? When choosing a U.S. university to study abroad, one decision you’ll make is whether you prefer to attend a large or small university. Do you see yourself in a tight-knit community where you can get to know your classmates and professors, or do you prefer the anonymity of a sprawling, diverse campus? Learn the advantages of each! Bridge students at Philadelphia University had a chance to participate in a unique, collaborative event on campus. They joined students from PhilaU and other universities in the U.S., and even Europe, in a project called Nexus Maximus. Innovation and entrepreneurship (not to mention English practice!) were the focus of this four-day event, in which student groups compete to come up with the best solution to a real-world problem. Almost all of the colleges and universities in the USA offer scholarships to students with exceptional grades and academic performance. In fact, many of these schools also offer scholarships specifically designed for international students. Here's an overview of scholarships available at BridgePathways partner universities. OPT vs. CPT: Can University Students Work on an F1 Visa? Most students who plan to study abroad in the U.S. In particular, they might be wondering if they are allowed to work on their F1 visa while attending university (or after they graduate). The short answer is yes, they can! However, it’s important to be aware of the regulations. The University Experience in the U.S. vs. the U.K. The U.S. and U.K. may share a common language, but there are lots of cultural differences between these two countries. This is also true of the university experience. Learn about the differences in how you choose your course of study, the types of classes you will take and the extracurricular activities you’ll take part in as a student at a U.S. vs. U.K. university. Bridge General English and Pathways students at Manhattanville College in Purchase, New York, learned about the U.S. tradition of giving back over the holidays. Volunteers took part in an annual food donation and distribution event called the Basket Brigade. 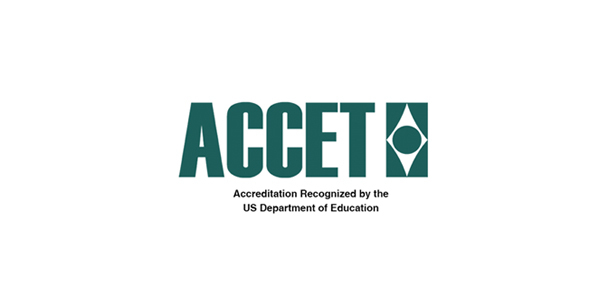 Denver-based Bridge Education Group (Bridge) announced that following a recent evaluation, the organization has been granted a five-year reaccreditation by the Accrediting Council for Continuing Education and Training (ACCET). This reflects the maximum length of time possible for reaccreditation. Assine a newsletter para receber BridgePathways votos dicas de Inglês, conselhos preparação da faculdade, informações sobre o programa, e muito mais!